There has always been a significant amount of speculation surrounding how much diet affects the development and the course of inflammatory bowel disease (IBD). It does seem reasonable that diet would have an effect on a disease that causes symptoms in the digestive tract, but so far there’s not been compelling evidence of exactly how or why this might happen, or if it even does at all. Diet is a polarizing issue, and people with Crohn’s disease and ulcerative colitis are naturally quite invested in how diet may or may not affect their symptoms. As the relationship between diet and IBD is studied further, certain research on the topic tends to create a bit of a sensation when it is published. The relationship between colitis (inflammation in the colon) and a food additive called titanium dioxide is one such issue. There is currently not a lot of evidence pointing to a link between IBD and titanium dioxide. However, there is some early stage research that will likely lead to more study until there’s a better understanding of how these types of food additives, which might also be talked about as being nanoparticles or microparticles, may interact with IBD. Currently, there’s no broad recommendations for people with IBD to avoid food additives, and people with IBD who do have concerns should ask their physician about diet recommendations. Titanium dioxide (TiO2) is a nanoparticle that is an additive used in foods, medications, consumer products, and personal care products, such as cosmetics. It is a white substance that can make products appear brighter or whiter, such as eye shadow, loose powder, paper, or even cake frostings. Titanium dioxide is also used as a UV (ultraviolet) filter in sunscreens to protect skin from sunburn. Therefore, this is a product that is consumed by humans in food or medication and is put on the body and absorbed into the skin, such as with cosmetics or sunscreens. When titanium dioxide is used in medications, it is an inactive ingredient, also sometimes called an excipient. An inactive ingredient might be used in a medication for a variety of reasons, either to “help” the active ingredient or to make a medication look or taste better. It is used because it is not supposed to have any action on the body. Titanium dioxide occurs naturally but is also human created. The description of the chemical composition of titanium dioxide can get quite technical because there are different types. Manufacturers aren’t required to list the type of titanium dioxide used in products, and it has many different trade names. How Safe Is Titanium Dioxide? Titanium dioxide is approved for use in foods, medications, and cosmetics, so it is considered safe by the governmental organizations that approved its use. The amount used in products will vary, but it is often not large. Its use across the world has increased in recent years, especially in the United States, and it tends to be fairly inexpensive. It’s estimated that adults in the United States may be exposed to 1 mg of titanium dioxide per kilogram of body weight per day. For a person that weighs, for instance, 150 lbs, that would be 68 mg of exposure a day. However, it is described by the World Health Organization (WHO) as “weakly toxic” and “possibly carcinogenic to humans" because, in much higher doses, studies have shown it has caused cancer in rats. It’s important to note, however, that the major concern behind the WHO classification is to protect workers in the plants where titanium dioxide is made. Workers will be exposed to higher amounts, possibly inhaling it, during the course of their jobs. Those workers need to be protected from harmful effects, especially when working with substances like titanium dioxide over long periods of time. 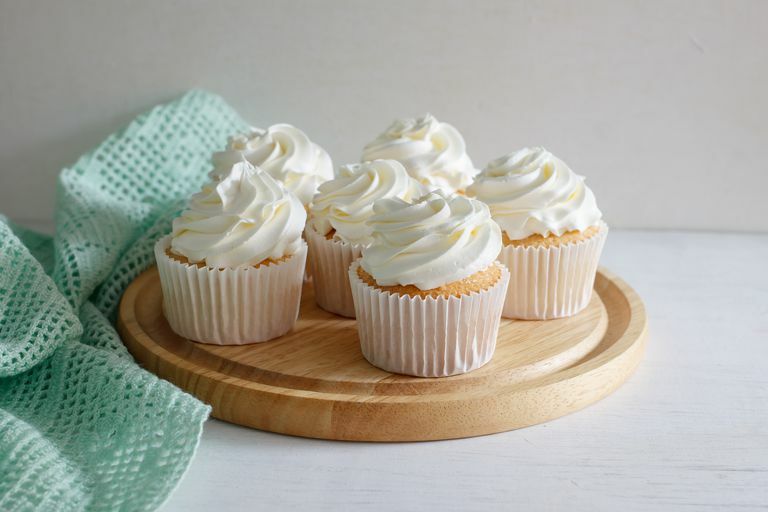 There is no evidence, however, that the use of titanium dioxide in smaller amounts, such as in cake frosting or medications, puts people at increased risk for cancer. One study looked at both the effects titanium dioxide had in mice who were induced with colitis. Researchers used a chemical on the mice to create colitis, which refers to inflammation in the colon and is not exactly the same as ulcerative colitis as it is known in humans. Inducing mice with colitis is commonly done in these types of initial studies, to see if there might be a reason to move on to bigger studies or to further research. What was found in these mice was that when they had colitis and were given high amounts of titanium dioxide daily in their water (either 50 mg or 500 mg per kilogram of body weight), the colitis worsened. Mice who did not have colitis and who were given the titanium dioxide didn’t have any changes in their colons. The researchers concluded, therefore, that titanium dioxide might only be harmful if there’s already inflammation in the colon. There have been other trials on people with Crohn’s disease, which studied diet that didn’t contain nanoparticles. The first study was done on 20 patients with active disease and went for 4 months. The patients on a low inorganic particle diet tended to do better than those that were not on the diet. The conclusion was that cutting out the food additives and other items containing microparticles or nanoparticles, may have helped. A second, similar study was done on 83 patients. The same diet was used, but the researchers didn’t come to the same conclusion: the patients on the diet didn’t do any better than those who weren’t on the diet. What this all means is that there’s no good evidence that cutting out things like food additives has any effect on Crohn’s disease. It’s a case of “back to the drawing board” for researchers. For people with IBD, there is certainly stigma associated with diet. Friends, family, and colleagues may look askance at what a person with IBD eats and make judgments about the effect diet has on symptoms. People with IBD often know what foods tend to be more problematic and in some cases, may be on a restricted diet for a time. Those who have had surgery on their intestines to treat their IBD and who are prone to developing a blockage may need to avoid certain foods or food groups altogether. Research has not shown, however, that diet causes or triggers IBD. Patients are encouraged to eat as healthy of a diet as possible, which includes fresh fruits and vegetables. Working with a dietician that has experience in treating people with IBD is helpful in order to eat a diet that is not only friendly to IBD but also contains the vitamins and minerals people with IBD need. During a flare-up, many people with IBD restrict foods, yet more calories are needed at this time, not fewer. When studies about IBD come out that challenge what we currently understand to be true, it can shake our acceptance of everything connected with these diseases. This is especially true of studies about diet, and the lay media—who may not have an intimate understanding of IBD—tend to pounce on them. The studies about titanium dioxide have not yet proven that we should or should not be concerned about this food additive. More fresh foods and fewer processed foods is usually a good idea. Before cutting foods out entirely, though, the best idea is to talk to your gastroenterologist and/or dietician about safe, nutritious, and practical options. IARC Working Group on the Evaluation of Carcinogenic Risks to Humans. "Carbon black, titanium dioxide, and talc. IARC monographs on the evaluation of carcinogenic risks to humans.” World Health Organization, International Agency for Research on Cancer, Vol 93, 2010. Lomer MC, Grainger SL, Ede R, et al. "Lack of efficacy of a reduced microparticle diet in a multi-centred trial of patients with active Crohn’s disease." Eur J Gastroenterol Hepatol. 2005;17:377–384. Lomer MC, Harvey RS, Evans SM, et al. "Efficacy and tolerability of a low microparticle diet in a double blind, randomized, pilot study in Crohn’s disease." Eur J Gastroenterol Hepatol 2001;13:101–106. Ruiz PA, Morón B, Becker HM, et al. "Titanium dioxide nanoparticles exacerbate DSS-induced colitis: role of the NLRP3 inflammasome.” Gut. 2017 Jul; 66: 1216–1224. Weir A, Westerhoff P, Fabricius L, Hristovski K, von Goetz N. "Titanium dioxide nanoparticles in food and personal care products.” Environ Sci Technol. 2012 Feb 21;46:2242-2250.